Surfers play to a different tune, but they are not the only people in love with the surfboard shape. 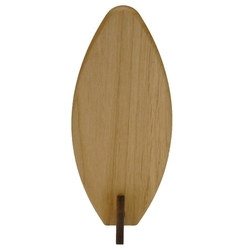 This miniature surfboard is realistic and solid wood. 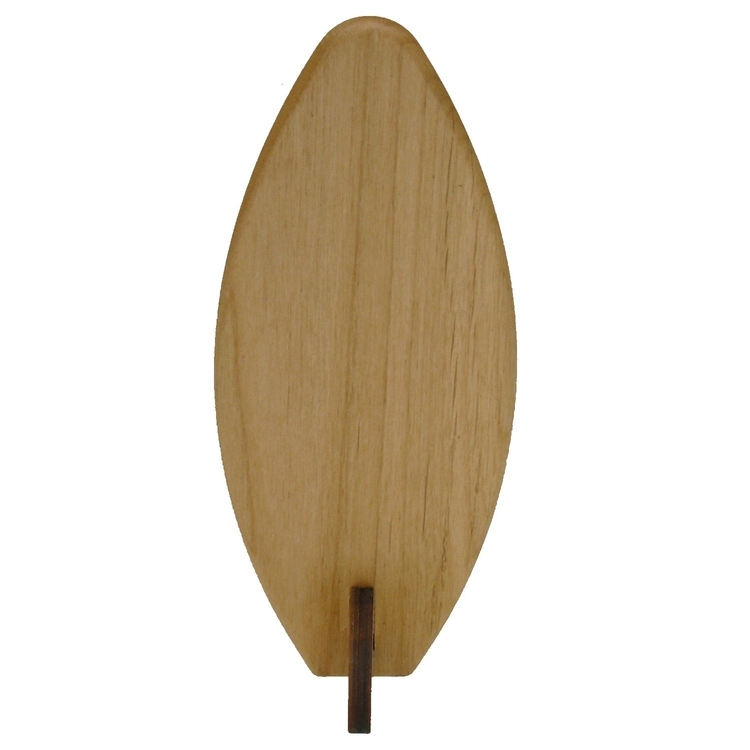 Precision milling is used to maintain an accurate shape and even down to the detail of creating a stand from the tail fin. 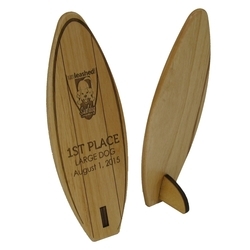 Laser engraving or 4-c digital printing are both decoration options for this unique award. 2.75 x 7.0 x .25"
Price includes a one position laser engraving or 4-c digital print. Awards packed inside of a black drawstring pouch. Ad Copy Included: 5 sq. inches.